Possibly the most fun I’ve ever had in games like Need for Speed has always been trying to outrun the cops while driving my car sideways utilizing the near flawless drift mechanics. At its core, it is such an easy formula that’s been pushed throughout the racing genre. When I came across Awesome Industries sp. z o. o.’s Drift Zone; a game that focuses all about drifting, as you race laps around a course trying to make your place amongst the high scores I was excited. Finally! A game that takes the formula cuts out all the filler and gives drifters precisely what we’ve been wanting. Does the standalone concept top the charts, or should we shift into reverse? Drift Zone has no story. 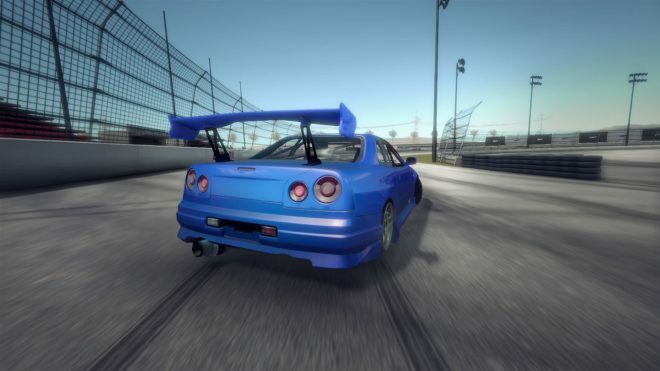 From the start, you are automatically given a car and are tasked with completing a series of drift courses. Circuits have you drifting around a specified path with a 30 second time limit that extends with each checkpoint you pass through, and ends when the timer reaches 0. Sprint courses have you drifting from point A to point B. You start with 1000 score which gradually depletes if you are not drifting, and can be added onto if you are properly drifting. There is also a 40-second timer present with no way to extend it. The deciding score will either come from crossing the finish line or letting time run out, which doesn’t appear to have any penalty for not finishing proper. You have Options – From 64 different paint color options to choose from and different body and trim options for each of the ten different cars available; there are customization options to help make your whip your own. Each car also offers different tuning kits that optimize the car’s power, weight, torque, and rev limiter. Even more, tuning can be done to each of cars five gear ratios, the differential ratio and the steering angle. These three options are more for the advanced car enthusiasts but unfortunately offers no tutorial for those of us rookie mechanics. Bonus Objectives – After obtaining three stars on a level, you unlock three bonus objectives that allow you to earn more money. 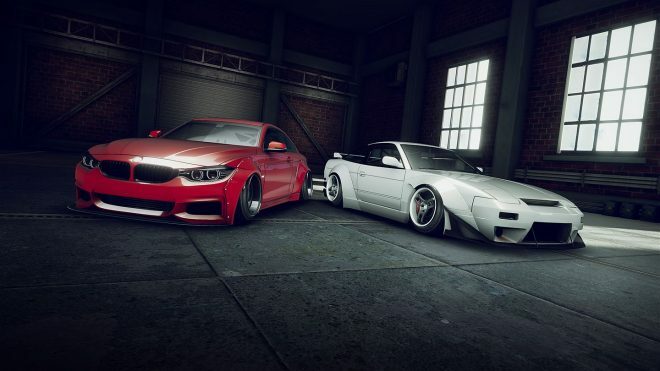 These objectives are repeatable after finishing them, so they do allow you to grind for cash to purchase better cars or upgrade your tuning kit on your current car. The cash earned can also be used for the various customization body/trim for your car. Two of the objectives taken from the first circuit track asked to keep an average speed of 31 miles per hour, as well as to spend 90% of your time drifting. The third objective asks you to beat the legendary score of 30,000 which seems either very challenging or utterly impossible. Limited Sound – Drift Zone offers three total songs to listen to for the entirety of your time playing. These songs play on the main menu as well as during gameplay and can become tiring very quickly. After 2 hours of hearing these songs, I turned off the in-game music and switched to Spotify to listen to the hit soundtrack from 2006’s Need for Speed: Most Wanted. Definitely a more fitting soundtrack for the situation. The sounds coming from the car itself are also questionable. You can hear the car accelerating at the start, as well as when the car shifts gears, but it all sounds lackluster. The most expensive car sounds like one of those cars that runs across one of those children’s electric racing tracks from the 90’s. Quitting Out – The game adds to the repetition when it comes to quitting out of a level. Upon exiting a level, you are taken back to the splash screen. After hitting continue, you are presented with the main menu. From here, you need to choose Play once again, select your game mode and select the next track. This happens after every level. The question on my mind is, why couldn’t we just be taken back to the course select screen? Unfortunately, there’s no explanation, but it’s something players will have to get used to. No Tutorial – Players new to the concept of drifting will be completely lost here. There is no tutorial teaching you how to play, or to give you the basic layout of the HUD. 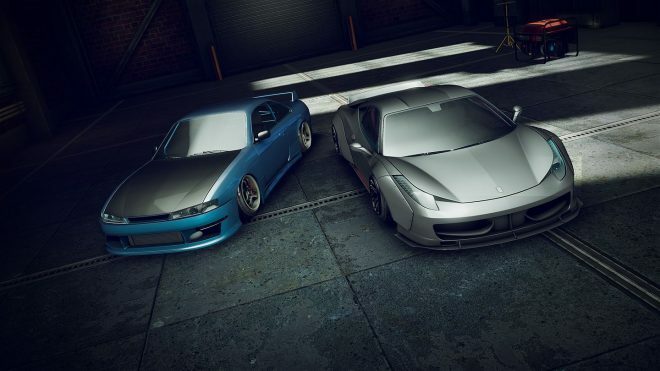 The mechanics in Drift Zone differ a lot from other racing titles. The problem here is that without anything to signify what I am doing wrong, or how to get things moving, it’s entirely up to the player to figure out. Even with all the mechanics, I’ve adopted from other games; it’s still not enough to cover the expectations of the game. Cars are similar – Of the ten different cars in the game, I own four. The default car, the two after it, and finally the last and most expensive car in the game. After having issues trying to earn three stars on a variety of tracks, I grinded the bonus objectives on the first track for about an hour to earn the $195,000 cash needed for the last car. I then grinded $75,000 for the best tuning kit for the car. With the best car and upgrades available I am set! right? Unfortunately, while the best car in the game has more acceleration than all the others, it actually handles the same as they do. This is a very puzzling concept. Why would there be ten different cars to choose from, if the only difference between them is their appearance and their acceleration? Mechanical work – One of my biggest issues with this game comes from the customization options for the car that aren’t cosmetic. Everything from Brakes, Tires, handling, etc. needs to be interchangeable. Granted you can affect the weight of a car with the tuning kit, but I feel there should be more options available to push a car to it’s maximum. Even with the best tuning kit on the most expensive car, it continues to have the front passenger seat included, which is adding extra unnecessary weight to the car. The brakes are not effective if and when they need to be. There need to be different tire options, sizes, etc. Granted, I may just be spoiled by the drifting elements from other games that offered all these types of optimization, but regardless, they all play their parts as a necessity for the formula. Stability – The stability of the game is a huge issue. The game has issues with stuttering, and slowing down, which gets worse the longer you play. The only real way to correct the issue is to close out of the game completely and start it back up. 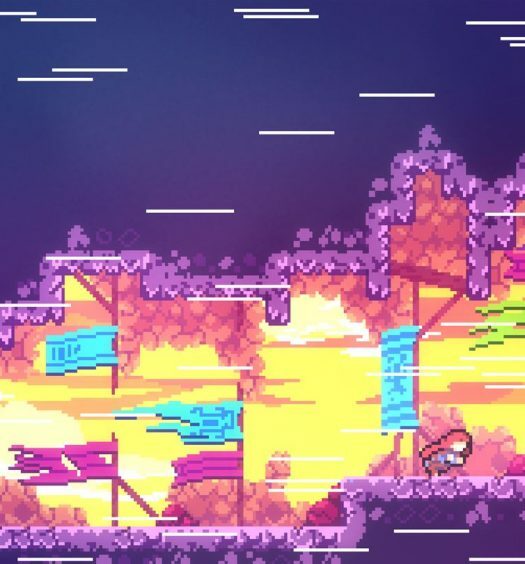 The stuttering gets so bad that it can happen while you’re in mid-drift, which causes the game to cut out for a moment, ending your drift prematurely and messing up your run. Furthermore, there are problems with random crashing. It can be quite annoying when it happens, especially when you’re in the middle of a course. Of the three times I had experienced it, all happened after the game had stuttered immensely (several times in a few seconds). At the end of it all, Drift Zone truly feels like an unfinished game. It lacks the polish that many other current racing games have, and doesn’t bring anything new or interesting to set it apart from those games. The lack of a tutorial makes the game complicated for those new to the concept and puzzling for those who know the basic mechanics, but not how to implement them here. The only real variety comes from the cars which unfortunately don’t really vary at all. 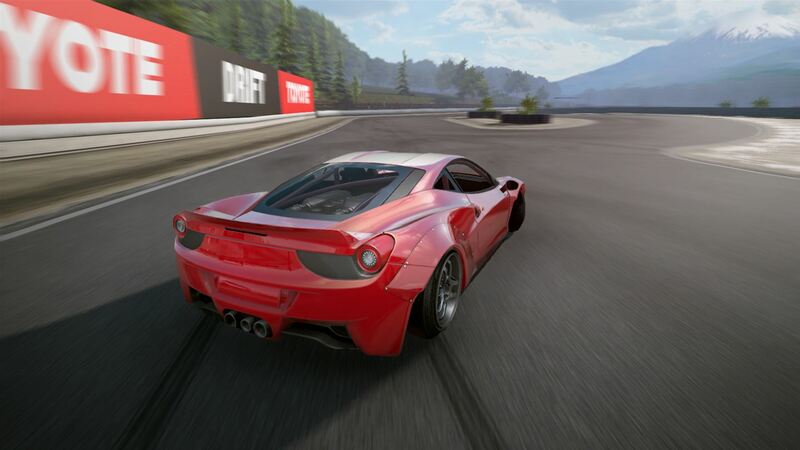 Even when considering the obvious price difference, if you’re looking for a game with strong customization including varied tuning options, a catchy soundtrack and the possibility of completing a handful of tracks within a 7-hour period, then you’re most likely better off looking for a Forza or Need for Speed title. Drift Zone was developed and published by Awesome Industries sp. z o. o. It released on January 25, 2018, for $12.99. A copy was provided for review purposes. Drift Zone Awesome Industries sp. z o. o.